This software offers a solution to users who want to convert images from color to black and white. This software offers a solution to users who want to convert images from color to black and white. 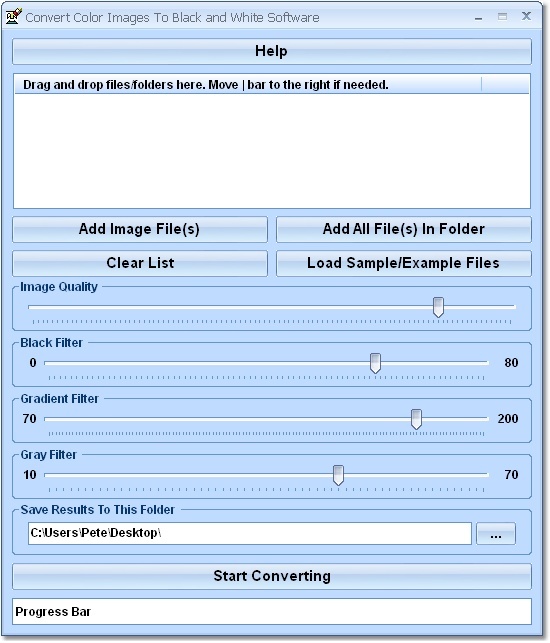 The user chooses the files or an entire folder to be processed and uses the sliders to set image quality, black filter, gradient filter and gray filter before starting the conversion. Using this time saving software, even large numbers of files can be handled with one click. This software offers a solution to users who want to search the metadata text of one or more image files. This search can be either case sensitive or case insensitive.